Draft: 1994, Milwaukee Brewers, 8th rd. With Ronnie Belliard batting, James Loney steals (1) 3rd base. June 16, 2011 3B Ronnie Belliard retired. April 1, 2011 Philadelphia Phillies signed free agent 2B Ronnie Belliard to a minor league contract. April 1, 2011 3B Ronnie Belliard assigned to Lehigh Valley IronPigs. March 28, 2011 New York Yankees released 2B Ronnie Belliard. March 28, 2011 Scranton/Wilkes-Barre Yankees released 2B Ronnie Belliard. February 11, 2011 New York Yankees invited non-roster 2B Ronnie Belliard to spring training. February 8, 2011 Scranton/Wilkes-Barre Yankees signed free agent 2B Ronnie Belliard. September 9, 2010 Los Angeles Dodgers released 2B Ronnie Belliard. September 7, 2010 Los Angeles Dodgers designated 2B Ronnie Belliard for assignment. January 26, 2010 Los Angeles Dodgers signed free agent 2B Ronnie Belliard. 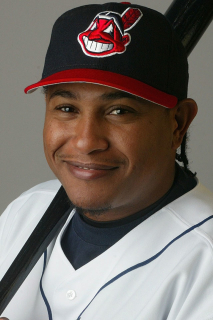 December 1, 2009 2B Ronnie Belliard assigned to Tigres del Licey. November 5, 2009 2B Ronnie Belliard elected free agency. August 31, 2009 Washington Nationals traded 2B Ronnie Belliard to Los Angeles Dodgers.